For months Bill Ackman has been pushing the pharmaceutical company Allergan to submit to a hostile takeover by fellow pharma company Valeant. Ackman owns almost 10% of Allergan, and almost 40% of his hedge fund Pershing Square is in the company. 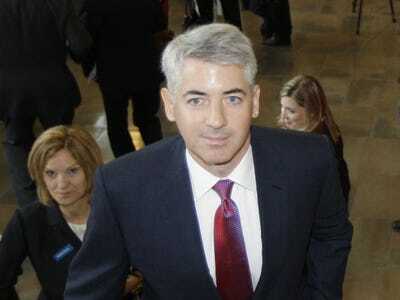 But now the deal Ackman was pushing for is over, as Allergan will merge with another company, Actavis, in a $US66 billion deal. The effort that Ackman undertook by purchasing Allergan shares back in February has been thwarted. And after everything that happened — three bids for Allergan, multiple court appearances, accusations of insider trading — you would think that Bill Ackman might be having a rough Monday morning. But no. No way. As the deal Ackman pushed for fell apart, he also collected $US2.28 billion. From the beginning of the Valeant-Allergan deal, critics of Valeant’s business model said that the company lacked organic growth, that it depended on aggressive acquisition accounting to make its balance sheets look healthy, that once it acquires a company it zaps the company’s R&D budget until it finds its next host. Actavis’ CEO Brent Saunders addressed this argument head on in a CNBC interview after the Actavis-Allergan merger was announced. “Our business didn’t need … acquisitions; we have strong organic growth,” he said. Very subtle. Allergan made the “no organic growth” argument again and again as it rejected Valeant and Ackman’s advances. And short seller Jim Chanos has been public about his short position in Valeant for months. He even sent Ackman his research on Valeant before Ackman and Valeant announced their intention with Allergan. It’s important to remember that Ackman doesn’t own Valeant at all — he was only helping the company to finance its deal. Ackman’s genius is that he owns Valeant’s targets. As of last week he also owns almost 10% of Zoetis — perhaps another potential target for Valeant. Zoetis’ stock went up almost 2% after Allergan’s deal was announced. So in any event, Bill Ackman wins. He helps Valeant approach its target. The target resists. Valeant ups its bid. The target resists more, and it finds another company to buy it. The new company makes an offer. 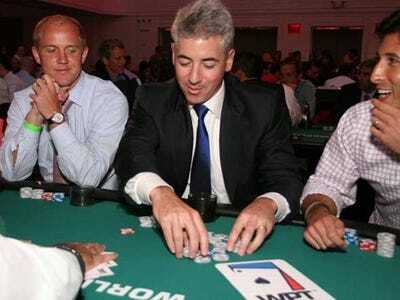 Ackman, who has invested in the target, makes money either way. The SEC is still investigating whether Ackman and Valeant violated insider-trading rules when they joined forces to buy Allergan. A California judge ruled that the two parties changed the language in their agreement to reflect that they were “co-bidders” for Allergan — that they intended to buy the company from the beginning of their relationship (that’s where the insider-trading violation potentially comes in). If you believe what critics of Valeant’s business have been saying, then you believe that Valeant must act immediately to acquire another target. That’s what it needs to look healthy. And it means Bill Ackman will soon get another payday.